The marketing plan is the part of the business plan. It is a detailed and complete document or manuscript covering company`s marketing activities. Usually, marketing plan made for one year. It contains a solid and complete set of marketing and advertising activities for the particular brand. Marketing plan designs to achieve marketing objectives, this leads toward business objectives. The marketing plan also covers the current position of the business, its target market and a set of marketing tools or marketing mix that business will use to achieve marketing objectives. Article Information: This step-by-step guide covers all aspects of the marketing plan with a Coca-Cola example. This guide can be used as a marketing template for businesses. Marketing students and teachers can use this guide for their projects and assignments. The marketing plan has always designed to differentiate the business from competitors so it also contains some market research data about the current business, market situation, competitors’ information, and involves specific strategies and actions to achieve specific objectives. Wikipedia explains marketing plan as a comprehensive document or blueprint that outlines a company’s advertising and marketing efforts for the coming year. It describes business activities involved in accomplishing specific marketing objectives within a set time frame. Basically, a marketing plan is the base of any business. Let me explain this deeply. Every business starts to cover a market gap which no one else fulfills. The gap is unfilled needs of a particular segment or not properly fulfilled needs. So it means you must do market research to identify that gap. Marketing definition explains that marketing is set of actions of activities to fulfill customers` needs profitably. By going through this definition marketing starts with market research and market research is also the first step to start a business. Now it is easy to understand that why a marketing plan is the base of any business and every business depends on its marketing activities. This process involves market analysis, competitor analysis, business and marketing objectives, action plans, budgets, business forecasts and most importantly how to use resources in best favor of business. To make it easy for you, I’ve put an example of Coca-Cola that how the Coca-Cola marketing plan can be made. While making a marketing plan, there are some points must consider. As I already explained, that research is the most important and basic element of any business. Company: Research should be done about the business. What is the need of business? What is the potential gap? How much will this business be profitable? How will be the workforce for this business? All these questions must be addressed before the status of business. Coca-Cola is known as beverage manufacturer worldwide. The company started in back 1892 by Asa Candler. Coca-Cola headquarter is located in Atlanta, Georgia, United States. Coca-Cola manufactures syrup concentrate and ship to the bottlers, franchises, where they mix it with other ingredients. 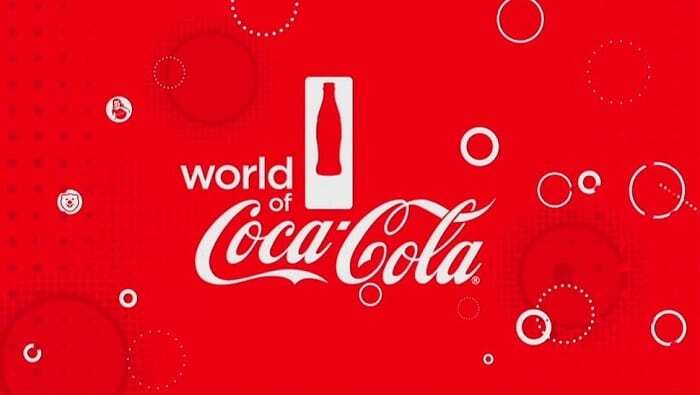 To know more about Coca-Cola, visit the website. Customers: Before starts of business, research must be done to the target market. What are the basic needs of the target market? What are the possible ways to serve them? The more you know about your target market, more easily and efficiently to serve them. Coca-Cola currently offers more than 500 brands in over 200 countries. It serves 1.6 billion customers each day. The target market of Coca-Cola is not limited to age, area or gender, it is a global brand and is serving people at offices, homes, parties, restaurants, bars and every place where one can be present. It usually represents itself as a market for youngsters but products are also being offered specifically for older people. Competitors: It is always important to know that who your competitors are. In which market, you are going to operate? What are the basic needs to operate in that particular market? What are the characteristics of the market? What competitors already offering to target market? How can business differentiate from competitors? 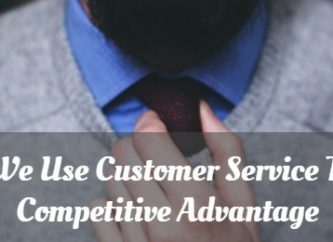 The more you know about competitors and external market factors, the more easily and efficiently to serve target customers. Coca-Cola says its biggest competitor is ‘Tap Water’. This is the vision of Coca-Cola Company. Other than Pepsi Cola, local brands, i.e. Gourmet Cola and Next Cola by Meezan Group. Once you have completed marketing research, you’ve almost started your business. After concluding market research, business goals can be designed easily. Now it’s time to achieve those goals. Draw business’s marketing objectives and align them with business goals. Marketing objectives must be most relevant to business goals and objective so that you can achieve your targets fast and accurately. Marketing objectives and business objectives must be co-related. if your business objective is to earn 30% net profit this year, your marketing objective should also be the same, to increase 30 % customer base. Marketing activities should also design to achieve 30 % net profit objective. You need to draw all possible marketing objectives to achieve every business goals. Increase ingesting of their product. Offering products at maximum outlets, more suitably to be present universally at each and every store in all part of the world. Increase Brand association with reputed fast foods, i.e. McDonalds. To finance more on research and development, the estimated amount being $50 million. Ensure safety and health of the customers by investing more on natural sweeteners. Providing the customers, an exact figure of what they are consuming in each of their serving (value). Low Caloric product formation to meet the global health needs. Marketing research has been done, data has been processed and analyzed. Business and marketing objectives have been drawn. Now it’s time to design marketing strategies to achieve those marketing objectives. Marketing strategies are the process to achieve marketing objectives that involve set tools, tactics, instruments, actions, and activities. Tools like promotions, sales, advertisement instruments, and activities like personal selling, customer service, advertisement. Marketing strategies are always in written shape that describes how marketing activities will be performed? What tools need to use? Where will all activities be performed? Which strategy is for which objective? For example, if your marketing objective is to increase product knowledge, then your marketing strategy will be different as compared to the second marketing objective, which increases customer base. For the first objective, you need to advertise more product related information and for second objective you need to give promotions, discount and customer services. The main strategy and slogan of the company are availability, affordability, and acceptability of the brand throughout the entire world. Sustainable growth of the company, keeping pace with the market to ensure its future presence. Periodic assessments of business plans, product response, and planning. Training sessions of tools and planning to the associates, for the excellent and active performances at the ground. Keep the balance of relations regarding goodwill and strategies with anchor bottlers and franchises to keep the process running. Enhancements of necessary culture and capabilities. Engaging other partners in development through a leadership team. Without finance, no business can run. You need a budget for your business. After completion of designing marketing objectives and strategies, you need a budget to execute those strategies. Marketing budget will be allocated according to the requirements of the marketing plan. The Coca-Cola Company’s total marketing expenses reached US$6.8 billion or 15.4% of total revenue in 2015. Last important thing to consider is how to monitor all above discussed plans and activities. There should be a strong monitoring system with the intention of achieving best results. With the help of monitoring system, it will be easy to know that either marketing objectives are achieving or not? Either marketing strategies are going well or not? What are the flaws and weaknesses of marketing strategies? Everything has a purpose to exist in this universe, marketing plan too. The purpose of the marketing plan should be clear in management’s mind so that they can work better and achieve more. Very the first purpose of the marketing plan is to run and grow the business profitably. These are common purposes of marketing objectives. Each business has its own purpose. A marketing plan is a formal document that describes all business and marketing activities need to be done. It should be detailed and comprehensive so that everyone can easily understand how marketing activities will be performed and what is necessary tools need for execution? This part of the document explains whole plan shortly and briefly. It covers all necessary elements so one can easily understand after reading it. This heading involves information regarding the situation in which business exist. It is a necessary element of the marketing plan as it gave information of current situation. Macro Environment Analyses: Information regarding the macro environment in which business exist, for example, the economic condition of the country, legal procedures, and laws, concerning business, governments rules and procedures to operate a business. Coca-Cola is a global brand and every country’s economic condition, legal procedures and law affect independently. In Pakistan, Coca-Cola faces local trade laws for operating here. Market Analyses: Complete market information should be described under this heading. For example, market size, segmentation, marketing share, competition. For Coca-Cola, Market size is huge and its market share is 30% of total Pakistani market. Consumer Analyses: Complete consumer information should be disclosed under this heading. Who is target customer? How geographical segmentation and psych graphical segmentation will be done? What are common traits of consumers, needs and preferences of the target market, and their buying behavior? Internal Analyses: complete internal analyses should also be included under this heading, for example, Information about finance, and financials activities, a workforce of business, skills and time required for a marketing plan. SWOT Analyses: SWOT stands for S-Strengths, W-Weaknesses, O-Opportunities, and T-Threats. Strengths and weaknesses are internal factors concerning business and opportunities and threats are external factors concerning external market and the environment. A SWOT analysis is a tool used to get knowledge about the business current situation and external environment where the business operates. Under this heading conclude business’s strengths and weaknesses fairly as it will give a better look that where business is standing right know. What are the competitive advantages of business to compete in the market i.e. high marketing budget, large customer base, or strong brand image and what are the weaknesses business should overcome to compete in the market i.e. new in the market, or less information about competitors’ strategies? Discuss also opportunities for the business i.e. favorable country economic condition, favorable rules, and laws. Discuss threats for business exists in the market i.e. low barriers of entrance into the market, new unfavorable policies from governments. Coca cola is implying all its research and development on beverage section and is not putting efforts on snacks whereas its major competitor PepsiCo is earning 42% from beverages and other snacks. Political lobbying often imposes pressure on the manufacturing section so the company should refrain itself from the political scenario. Include all information which you got from previous research about company’s current situation, its competitors, and its customers. Conclude all information and draw final results so that one can easily understand that what should next to do and how to do? Coca-Cola invested more than $50 Million on Research and Development and market research in 2015. Recommended Read: What is Market Research? How It Helps Organization to Perform Well? Write down all marketing objectives you design for your business. Marketing objectives must be correlated with business objectives. Marketing objectives should be SMART. Smart stands for M-Measurable, A-Achievable, R-Real, and T-Time bound. Marketing objectives for Coca-Cola have been discussed previously. The most important element of the marketing plan is a marketing strategy. Whole marketing plan revolves around it. Marketing strategy is the way, path, and process to achieve marketing objectives. Marketing strategy depends on some critical factors i.e. marketing objectives, target customers, competitors, and nature of products. 4 P’s of marketing strategy; Product, Price, Place, and Promotion are discussed in this heading. All P’s strategies will be designs under this document. Marketing strategy for Coca-Cola has been discussed previously. The product is the number one P of the marketing mix. The product is what business will sell to its customers. The product is something that business offers to its customers at some price. It can be anything i.e. a needle or airplane. The product can be tangible or intangible. For example, Coca-Cola offers soft drinks for its customers. Coca-Cola soft drink bottle is a tangible product. 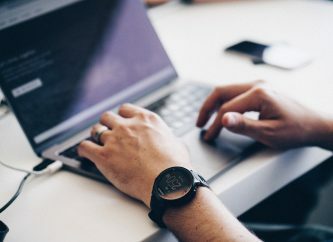 Someone on his website offers online computer course, which is an intangible product. If human efforts involve, then the product will be services i.e. a plumber goes home and do some plumbing work, he is offering services. This service is his actual product. While designing product strategy first thing to analyze target customers and then design product. What are the needs and demands of your target customers? After analyzing needs of the target market, you will know that what should be the product mix? The product mix is the blend of concepts about product i.e. width, length, depth, and consistency. All four concepts must be addressed in product strategy. A longer product line with similar products may cause competition within the product line and eventually leads to decrease in revenue and a shorter product line may limit the customers’ choice and ultimately leads customers to move to another company. Carefully strategies should be implemented regarding product line in order to retain customers. Width: Width refers to the numbers of products line a company sells to its customers. A number of different product lines carry by the company. In Coca-Cola, Beverages are divided into the different product line, i.e. 100% fruit juices, fruit drinks, water, energy drinks, tea, and coffee etc. Length: Length in product mix denotes to the total number of products sold by any company in the particular product line. The company may have different product lines and different products in each product line. Length refers to product line produced and sold by the company. The company may have different product lines with same products. For example a company product food items and stationary items under the same brand name so the length of product mix will be food items + stationary items. Coca-Cola has different product lines i.e. soft drinks, mineral water, and juices. In particular soft drink product line; products are Coke, Diet Coke, Fanta Orange, Fanta Citrus, Sprite and Zero Sprite. Depth: Depth in product mix refers to the variants of product within the same product line. For example, OLPERS milk has different size packing. The product is same ‘milk’ but packing size is different which depth in milk product line of OPERS is. Variation can be on size, flavors, colors, shapes, or other distinctive factors. Depth is Product mix = (Variant 1 + variant 2 + variant 3 + ……) of one product. Coke itself has different in terms of packaging: 250ml, 330ml regular bottle, 330 ml tin, 1000ml, and 1500ml. Consistency: Products in the same product line may be closely associated with each other. This concept called Consistency of product mix. Consistency can be in term of use, production or distribution. Product mix can be consistent in one term i.e. distribution however exceedingly different in another term i.e. use. For example, a company produces health products and beauty products. Although both product lines distribution style is same but the use of both product lines is totally different. All soft drinks, juices and mineral water distributed through same channels. While considering product strategy, it is tremendously important to consider the brand name and its image. Actually, all efforts are made for creating a better brand image. Brand name and brand image use as synonyms in marketing. Both refer to the value or worth of any brand. What do its customers think about it? How they perceive its quality? Again back to market research, brand image will be correlated with what research has been done. What customer want and how they think about any brand. Under product strategy, brand image/ brand name must be addressed as per business objectives. The brand image of Coca-Cola is high especially in Pakistani market. The tag line: Open Happiness is all time favorite of the young generation. Coca-Cola presents itself as a part of happy occasions. Once you have developed product strategy, it’s time to design pricing strategy. Price is the monitory value of your product and services or the money and value you will charge from your customers against your product or services. Designing price strategy is very crucial because target market needs and market competition must consider. Price should be so competitive to competitors but at the same time very near to customers’ expectations. Before moving to any other step, pricing objectives must be designed so that everyone knows that why pricing strategy is going to design, why not just set the price with the own choice. Pricing objectives will direct the whole strategic process to the right way. How to extract pricing objectives? These are just common examples of pricing objectives. Every business has its own scenario and its own objectives. You have pricing objectives on your table, now it’s time to draw pricing strategies for your business. Here I am giving you a short view of types and methods of pricing strategies, which eventually helps you designing your strategies. If a business initially sets a low price to achieve sales targets and increase market share and then increase price parallel to its competitors, then it is following price penetration. For example, a frozen food company initially sets its one product price below 20% of its competitors’ price just to get into the market and increase customer share. If organization launches a product with premium price and then lower down the price to serve the wider market, it is following price skimming strategy. For example, a games console company reduces its prices over the period of 5 years to serve more customers. Most companies set the high price at introduction stage and lower price at decline stage. As term describes itself, price competition is setting price against the competition. There are three options available in this strategy, either set prices parallel to its competitors, or lower than competitors or higher than competitors. In common market, mostly competitive products have the same price range. Under same product line, setting a different price point for different products is called product line pricing strategy. For example, a company offers one product with different features so it will set a different price for both products. When a company grouped products together to offer more value to its customers, bundle pricing strategy activates. This happens mostly when a company gives offers to its customer, Buy One Get One Free Offer. When a company wants to make product exclusive, it sets the price at a high level than competitors’ products. For example, PORCHE has a high price as compared to other vehicles selling in the same market. Adopting this pricing strategy, the company plays with customer psychology. The company sets price Rs. 99 instead of charging Rs. 100. This strategy works because customer thinks he is buying a product under Rs. 100, even though it is same to Rs. 100. When a company set a low price for its basic product and set substantial price for its accessories. This strategy has been seen in mobile and computer industry, where basic product price is set at a low level but high-profit charge for its accessories. Price sets for the product on basis of its cost and defined profit. The company defines fixed amount as profit and add the cost of the product in it. For example, a product may cost Rs. 500, and firm fixed profit 20% of the cost and finalize product price Rs. 600. [500 + (500 * 20 / 100)]. Cost-based pricing is similar to cost plus pricing strategy. Cost plus other factors consider while setting the price. Cost based pricing strategy is a useful tool in an industry where price fluctuates regularly but always based on cost. When a company sets the price based on the value provided to customers, this is called value-based pricing. Value is based on benefits, a product provides to its customers i.e. image, reputation, satisfaction, luxury, or convenience. Technology, medicine and beauty products related firm use this strategy. Coca-Cola has a high market share, competitor pressure has forced customer sensitivity to price to be fairly high, sales volume is, of course, high and the profit margin is fairly low as the Coca-Cola products are fast moving consumer goods. This point to penetration strategy. Penetration pricing means the setting of lower rather than high prices to achieve potentially dominant market share. While describing price in marketing strategy, these should also address discounts, allowances, and returns. How must discount will be given? What will be the duration of the discount scheme? What actions require if returns occur? What types of allowances will be given to whom? Coca-Cola company offers different discounts to retailers and stockists to boost sales. Breakeven point has an important role in pricing strategy. The breakeven point is the point where total cost occurred and total revenue earned has been equal. BEP is the stage where there is no loss any profit. A point where opportunity costs have been paid, all risks have been adjusted, and all costs that need to be paid are paid but business is at the stage where no profit earned. Total profit equal to 0. While describing pricing objectives, it must address that when and how to achieve Breakeven Point at various prices? After designing product and pricing strategy, move to promotional strategy.3rdP of 4 Ps is promotion, which explains how to endorse brand to its target market? The promotional strategy will tell how to go to the customers? How to promote the brand and which tactics, procedures, and actions will require for promotion. Before making actual strategy, you must draw promotional objectives in order to achieve desired results. Promotional objectives should be aligned with the marketing strategy. Coca cola has one main promotional objective and that is awareness. In order to spread strong awareness, Coca-cola company use a mixture of promotional tactics and tools. Once you have drawn your promotional objectives, move to next step and design promotional mix for your brand. Promotional mix is a blend of promotional variables, activities, actions and tactics selected by the company to achieve promotional and marketing objectives. Different types of products have different tools for promotion and budget allocation is also different. How to find the best promotional mix is the great challenge for marketers. The advertisement is the paid display of ideas, concepts or information on mass media. The advertisement will be always identified, sponsor. Basic information about product, brand, services, company or idea is displayed in the advertisement. Print ads, radio, television, billboard, direct mail, brochures, and catalogs, signs, in-store displays, posters, mobile apps, motion pictures, web pages, banner ads, emails are the examples of advertisement channels. Once you’ve decided the use of advertisement for your brand, you need to identify the theme for your brand. What will be the frequency of advertisement shown on different media? What will be the media source for your advertisement campaign? What will be the reach of the ad? Consider five M’s for advertisement during ad making; Mission, Money, Message, Media and Measurement. What is you mission behind this advertisement; objectives of promotional strategy? What is the budget allocated for this advertisement campaign? What message do you want to throw to your target market; information about products? What will be the media source for this advertisement; TV or the internet? How will you measure the success of advertisement campaign? Coca-Cola extensively uses advertisement for its promotion. TV advertisements, Billboards, a banner advertisement within departmental stores are known channels of advertisements. Personal selling or direct selling involves direct human efforts in the selling process. Sales rep physically contact the prospect, give sales presentation/demo either through face to face interaction or through telephone/email. This is also a promotional activity because it involves the step of transferring product or brand or service information to the customer. The more sales rep provides accurate product information, the more chances to achieve promotional objectives. Your goal should be to make personal more effective and efficient so that you can achieve moth objectives; sales objectives and promotional objectives. The sales force needs to communicate with current distribution channels for Coca-Cola. Coca-Cola Enterprise currently distributes cooler fridges and vending units to community centers, sports halls, and shops. These would be replaced via a liquid dispensing vending unit which the distributor is likely to take on board because of Coke’s market share. But due to Coca-Cola’s recent failures with Coke Zero, they might need more incentives. Sales promotion is the marketing tactic, used to increase customer awareness, product demand, improve product availability. It also includes different information regarding product and company to achieve promotional objectives. Examples of sales promotion are coupons, sweepstakes, contests, product samples, rebates, tie-ins, self-liquidating premiums, tradeshows, trade-ins, and exhibitions. Sometimes marketers join the core product to another product in order to enhance sale for the business. This effort helps them to flow more information regarding different products and create awareness. Coca-Cola Company is using loyalty reward programs, price deals, and coupon systems. Publicity is the marketing activity carried by the third party on behalf of business in order to increase brand awareness. This may be free or paid effort. Publicity can be done through planting a news story indirectly in the media or presenting press release by the business itself on corporate functions. This can also be an interview, magazine article, charitable contribution, seminar or speech. In order to maintain public relations, Coca-Cola Company releases press releases at different occasion. Direct marketing is the type of promotional activity, in which company directly communicate with its customers. Direct marketing methods can be mobile messages, Emails, Interactive consumer websites, online ads, fliers, catalog and outdoor advertisement tools. The information offers and discounts can be communicated through direct marketing. Coca-Cola Company uses email, social media networks to interact directly with its consumers. The consumer can also contact through helpline number. Supporting an event, race, function or contest is also a type of promotional activity, through a company can achieve promotional objectives. Coca-Cola Company sponsors different events. One biggest event in the music industry is “Coke Studio” which is solely sponsored by Coca-Cola Company. The corporate image refers to the image or reputation of a business in the mind of customers. Companies take the image as a promotional tool to deliver information about quality or price. Coca-Cola Company’s corporate image is high so it only has to maintain it. Viral marketing, viral advertising or buzz marketing refers to the marketing techniques that use some social networking platforms to spread the information and create awareness. It is sort of word of mouth campaigns in which words go viral quickly. Social networking websites are very helpful for this techniques. Initially, an ad or information run by a company (identified sponsor). Then due to its content, it goes viral and brings huge customer responses. I will give you an example of Dubsmash videos. One person creates video and shares it on Facebook, Twitter, Instagram, YouTube and other social networking websites. Within no time, the video gets thousands of views. It’s all about content. Word of Mouth techniques works in same way. One customer experiences product, and share his experience (Satisfactory or Dis-satisfactory) with his friends, colleagues, mates and even unknown person. This is quite a cheap method. You don’t have to invest much in the media but you have to invest in content. Content can be in the shape of the video ad, interactive flash games, e-books, software, images or even text. Companies associate some incentives along with a viral message to get more and quick results. For example, a pop-up message shows on a web page, containing information that shares this message with 10 friends and gets 10 % discount. A great example of viral marketing from Coca-Cola Company is “Zalma Coca-Cola Pela De”, a song by coke studio. This song immediately went viral among the Pakistani market. I want to mention here internet marketing as a promotional tool because of its progress and innovations. This is the era of the internet. Everyone uses the internet for personally as well as for business. Use of internet for sake of promotion is very easy, effective and efficient. You can send promotional emails to thousands of potential customers. With the help of Facebook like, you can share your product information with more than million customers. Google has 20,272,455 + my like on its FB page, which means if Google shares any information on its FB page, more than 22 million will see this information. There are so many other promotional tools on the internet for your business. The product is made for its customers. How will customers get the products? What will channels business use to reach customers? How will customers get information and actual product? All these questions will be addressed in distribution strategy. Very first step in designing distribution strategy is to design its objectives. Specific objectives will be achieved through distribution strategy. The main objective of any distribution strategy for any business is to reach maximum target customers. Parallel to the main objective, a business can design other objectives need to achieve through distribution strategy. Objectives can be different as per nature of the business and its target market. Selection of distribution channels is an important task because a wrong distribution channel can bring down sale to zero. Same as managing distribution is also important because well-managed distribution can increase sales volume. Selecting appropriate geographical locations are very critical at this stage. The main purpose is to deliver product to the customer where they want. Which area is targeted and how to target? Geographical coverage depends on the location of the target market. Because Coca-Cola products are FMCG so it has massive expansion in retailer network. Almost every retailer, from large retail store to small corner shop has Coca-Cola products. You have decided which area will be targeted. Now it is to decide which channel will be used to deliver products in that area. Either you will deliver products by yourself of your distributor will perform this service for you? Many strategies are available under this heading. All you need to explore the best method to reach to your customers. Coca-Cola uses channel hierarchy with distributors, stockists, large retailers and small retailers. Another aspect needs your consideration here, which is logistics. Will you buy your own vehicles or hire services from Logistics Company? You need to explore that which method in logistics is feasible and economical. Coca-Cola has its own vehicles to distribute its products from the production plant to distributors and retailers. Maybe your customers are happy to order online and want to deliver products in your home. For E-distribution, you need to ensure your presence online. You need to develop e-commerce website, where customers can order their favorite products. Then you need someone may be your own employee of the third party contractual employee will deliver products in customer premises. Coca-Cola Company has no E-distribution till yet by its own. Some online retail stores are providing Coca-Cola products to consumers. You’ve developed a marketing strategy. Everything has been written on the papers. Documents have been completed. It’s time to implement this strategy. You’ve put your extreme efforts to build strategy, same efforts require now. Carefully review what you need to implement marketing strategy. Off course, every business needs a human resource to execute, yours too. As per your marketing strategy, how many employees business need? Which expertise will you require? Who will manage human resource? All the question marks related to the human resource must address before implementation. Coca-Cola Company has a large pool of human resource for its operation from production to distribution. Once human resource issue has been addressed, and employees hired, make sure that everyone knows his responsibility. Draw hierarchy according to positions. Assign them their responsibilities. Because Coca-Cola Company is multinational, so it has a country manager in every country to manage operations. The whole country is divided into different territories and every territory is managed by territory manager. Set up training sessions for your employees. Set up training sessions as per employees’ requirements. Training is a basic need for employees. Training enhances employees’ skills and capabilities. Coca-Cola offers training to its staff from time to time. Training is related to production, sales, marketing, and HR. It’s all about performance. Who perform well, get reward well. Make sure you’ve attached handsome incentives with employees’ efforts to accelerate overall performance. Promote healthy competition within the organization and help employees to achieve their targets. Attaching incentives with employees’ efforts will boost overall performance, which ultimately helps to achieve business goals. Coca-Cola gives incentives to its sales team on achieving sales target. Finance is the most critical part of executing a marketing plan. You’ve to design your marketing plan but don’t have the finance to execute it, what benefits can you get it from? Nothing! Make sure you’ve arranged finance as per marketing plan budget. Coca-Cola Company gives special focus to its marketing activities that are why their marketing budget are too high against its competitors. Technology is essential for your business, in fact, you’ve designed your marketing plan with the help of technology. Make sure you’ve considered all MIS requirements for your plan. What will you do to collect information? Which software and hardware will you use? How will you store information and process? What are the soft touch points for your marketing plan? Do not leave a single pin hole of MIS requirement just to save the budget. The more you invest on MIS, the more you will get a reward. Coca-Cola extensively uses high-end technology for its operations. Well, this is good effort to divide your targets into short-term targets, i.e. monthly targets. Before going into executing a marketing plan, set your monthly targets. Monthly targets are easy to achieve and measure. The monthly meeting is a healthy activity to set down and evaluate the past performance and set new goals for next. Implementing marketing plan and not measuring results is the world’s biggest blunder in my point of view. You are wasting all your efforts. How will you know that targets are achieving or not? In fact, measuring is the most critical part of the whole marketing plan. Usually, marketing plans are made for one year. At the end of a first marketing plan, measure it critically to know that what you’ve achieved and what’s next to achieve. Marketing plans are made for increasing revenue, which comes from selling business’s products and services. A marketing plan is successful if you’ve achieved the target ‘increase sales by 50%’ or increase sales by 200%’. Analyze sales growth critically and also analyze that which marketing activity is affecting sales more. This evaluation will help you designing and modifying next marketing plan. Coca-Cola measures its sales through sales reports. As sales targets distribute to territory sales managers so they are responsible to the results. They send back information to the country headquarter, where all information are managed through computer software. At the end of every month, a sales analysis has been done and evaluate the sales and marketing activities. Measuring market share is another aspect of measuring marketing plan’s efficiency and efficacy. 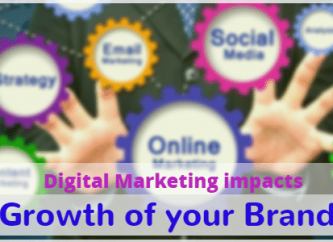 If you’ve increased marketing share by 6%, you are moving forward. Definitely, you’ve set the target that increases market share by nay number and somehow you’ve achieved, more or less. Coca-Cola also measures its market share analysis through open market research. Marketing plan bears a heavy cost. Measuring cost occurs by marketing plan will let you know that either this is going in your favor or not. You’ve fixed marketing budget of $1 Billion and at the end of the year, you came to know that marketing budget increased by $1.5 Billion. Make sure you’ve controlled the expenses and shrank them into your available limits. There can be substantial benefit in comparing these figures with those achieved by other organizations (especially those in the same industry). A marketing plan is not a simple document. It takes loads of information, researchers, skills, time and efforts. Marketing plan covers all necessary information including, business and market research, analyzing target market, product development, price setting, promotional efforts, and distribution matters. Injecting efforts in developing a marketing plan will give you a fruitful reward at the end. The more you insert efforts in the marketing plan, the more growth in business will be achieved. The marketing plan should be precise, but comprehensive and descriptive. I’ve covered all necessary parts in this marketing plan template with an example of Coca-Cola, which should be addressed. This is not a real Coca Cola marketing plan, but an example. What is your opinion about a marketing plan? What should it be and how should it be done? Tell us your thoughts about this marketing plan and how it can be more effective?